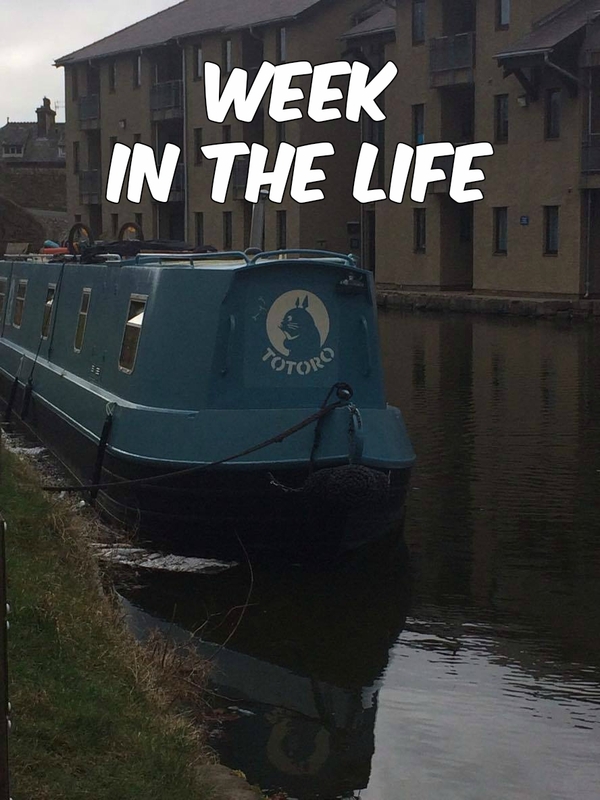 Siobhan Regan describes her Week 18! I’m Siobhan and I’m a third year English Literature with Creative Writing student who loves writing short horror stories and bad, angsty poetry. I live off campus in town with five friends. I was in County College but recently switched to Bowland so that I can graduate with my best friends, Alice and Beca. Waking up at 6.20am, I made some cereal and got ready for uni. Despite not having any contact hours due to the strikes, my housemate, Beca, and I like to get to the library for 8am so that we’re forced to do work. As I’m not really a morning person, this usually means I don’t really speak or function very well until at least 8.30am, but that’s beside the point. I eased myself in by editing and submitting my latest short story for creative writing and then moved on to face the hell of my dissertation. This involved searching through the library for transcripts of John Keats’s poetry that my dissertation tutor recommended and then staring at my laptop screen in despair for a few hours without really getting any further forward. After an unnaturally long time, I decided to escape the library and go for a swim at about 2pm. Ever since I received a mysterious and painful knee injury when I was on the women’s fencing team last year (which still remains mysterious and painful, thanks to our gloriously useless NHS) swimming is one of the only forms of exercise left at my disposal which doesn’t leave my knee feeling like it’s being ripped in two. The pool was pretty quiet, so despite the knee-pain making itself known about 20 minutes in, I powered through for 40 minutes. After a quick shower, I headed home to tidy my room before attempting an essay plan. After failing at this around five minutes in, I gave up and went downstairs. I chatted to my housemates while heating up some parsnip soup and listening to Magic FM (as is our house’s daily custom). Around 8pm, my friend Kyle came over. We were on the women’s fencing team and the fencing exec as armourers together and I hadn’t seen her in ages, so it was nice to have a catch-up about what she’s done after graduating and reminisce about old times. We stayed up chatting for a few hours and then Kyle went home and I headed off to bed around 11.30pm. Deciding to have a bit more of a lie-in today, I got up around 8am-ish and ate cereal in bed while watching an episode of Queer Eye. This episode involved the participant coming out to his step-mum in an emotional scene at the end, so I was bawling my eyes out before 9am, which is a first. To recompose myself, I went for a quick shower and got dressed before sitting at my desk to tackle my dissertation again. I promised myself I’d get to 5,000 words today but rather than adding words, I just kept cutting it down with editing. For lunch I made a tuna and cheese toastie with a side of grapes. My housemate Jenni was in a similar dissertation-slump so we mostly just stared into the abyss the whole time before reluctantly slinking back to our desks. As is custom to happen, my laptop then decided to be uncooperative and kept freezing. After another hour or so of writing, freezing, rebooting and writing again I gave up and went back downstairs to see Jenni, who had also lost the will to live. We had a bit of a laugh dancing around to Magic FM and doing some household chores before I went upstairs to ring my mum. My mum told me about my younger sister’s panicked A-level sixth-form dramas while I ordered a Moonpig card for her since she’s turning 18 this Friday. I picked a photo I took of her dressed as a gangster for her Year Nine drama class ‘street’-themed presentation, popped it on the card and sent it on its merry way. After trying the dissertation again, I gave up and went for a walk around 6.30pm. Blasting my 80s playlist whilst power-walking round the streets felt nice after being cooped up all day, so I felt refreshed when I got back around 7.15pm. I then ate some leftover paella, had another shower, and did some creative writing while listening to Hozier. I fell asleep soon after. Today I woke up horribly early again at 6.20am to get to the library. Today I was working on (surprise, surprise) my dissertation. Again. I had a meeting scheduled in the afternoon with my tutor – miraculously, the only person not on strike – so I was trying to sort myself out before going to ask her about some manuscripts I’d found. To perk ourselves up, two of my friends and I went outside for lunch to stare at the new TV screen set up in Alex Square. Nothing was on it, but we kept shaking our heads and tutting about all the construction work going on, so the excursion served a purpose. At 1.30am-ish I decided to go the gym before my dissertation meeting. Now, since I haven’t been to the gym in months, I knew this was going to be interesting and I was correct in that assumption. My knee was killing after ten minutes on the treadmill, so I switched over to the arm-bike-thing which you peddle with your hands and realised that my arms have basically no muscles. I switched to the weights for a bit then called it a day and slumped back up towards County, with an overfilled backpack and a book bag in tow since the manuscripts my meeting was about were pretty large. The meeting went well. I got a bit overwhelmed, but my tutor said she was really proud of how far I’ve come so that was nice. I went home for a quick shower before jumping back on the bus with Beca to meet our friend Alice in her campus flat for Pizetta and holiday booking! We spent about five hours deliberating costs between Barcelona and Italy and Greece before settling on the Greek island of Rhodes. We had a look at a few Air BnBs and flights and decided to reconvene next week to actually book the thing since it was about 11pm. Beca and I then headed home and I got to sleep around 1am. I had somewhat of a lie in, until 7.20am, today (I do sleep-in properly on weekends, I promise) and trekked off to the Uni to hang out in the English workroom for a change of scene. It’s usually pretty quiet in there and since the strikes are on again the whole department is pretty dead to be honest. I attacked my dissertation again, getting a little further forward after the boost from my meeting and then treated myself to a Greggs with Beca as a reward. I then went back to the English workroom for a while and ran into one of my course mates in there. We spent fifteen minutes or so venting about how stressed we were, how there’s literally no time to do everything, and how we have no new ideas for creative writing, before deciding that we should actually get on with stuff. He bravely decided to carry on, but I was getting a headache so decided to get the bus home and go for a walk down the canal. The canal walk started off peaceful and I saw some cool barges on the water, but things soon took a turn for the bizarre. I was on the phone to my mum about my parents’ upcoming divorce when my dissertation tutor jogged past me, frantically waving in my face to say hi. A bit baffled, I waved back but immediately after she passed me there was a Labrador hurtling towards me at top speed. Usually, this would be incredible (I love dogs SO much) but there was also a boy on a scooter right behind him screaming “BISCUIT! BISCUIT!” in anger. Biscuit the Dog then proceeded to barge into me and somehow remove my trainer in the process. This was so he could run behind me and grab a doll that someone had left on the canal bank and try to tear it to pieces. The boy’s shouting got louder, and my mum was very confused by all the noise down the phone, so I hastily tried to get my shoe back on and remove myself from the situation. Biscuit had now abandoned the doll and was trying to squeeze through a hedge and into a field, so I made my exit quickly. The rest of the day was pretty uneventful – I ate the last of the paella, showered, grabbed some rum and lemonade (I felt like I’d earnt it) and some Doritos and sat down to watch more Queer Eye. I also scrolled through potential grad jobs on my phone so that I felt more productive, and then fell asleep around 11pm. I woke up at 6.20am and this was possibly the most painful wake-up. By this point I was really looking forward to a lie in at the weekend but was also contemplating going out of Lancaster this weekend and maybe grabbing a train to Manchester or the Lakes for the day. Leaving this thought process until later, I ate some cereal, grabbed a coffee, got dressed and ran out the house with Beca. I returned to the English workroom today to try and grab my creative writing tutor to ask him about my last submission. I popped into his office at 9am and he said he was busy but promised to read the story and see me at 2.30pm for feedback. Although I didn’t really want to hang around on campus for that long, I agreed and went off to finally finish the first proper draft of my second dissertation chapter. Around 12pm I felt like I’d done as much as I could this week and went to meet Alice and Beca for lunch in Alex Square. Beca made the mistake of feeding one of the duck’s bread and we then had a flock swarming us for the next hour. Around 1.30pm I had a quick phone call with my dad then went back to the workroom with Alice to work on my poetry submissions for Flash that were due today. When 2.30pm rolled round, I went back to my tutor to see what he thought. He gave my some really useful feedback so, feeling pretty good, I decided to walk home. About half-way home I regretted this as I felt a sugar low so I went into the local Spar and grabbed some chocolate and juice for when I got home. After lounging around for a bit, I made a quick meal of pasta with pesto and cheese and met my housemate Jenni who is seeing Black Panther with me tonight (finally). We’re just setting off now actually, so I can’t actually tell you if it is good or not! I’m sure it will be, though, and I’m super excited so it’s been a good end to a hard week.